You're in bed with your wife in the wee small hours of the morning. Suddenly, you hear a loud thud against the door, as if someone with a crowbar was forcing it open. Or, perhaps you hear what sounds suspiciously like someone pawing at the window, attempting to jimmy it. Some maniac may even have simply thrown a brick through your downstairs window, for no other reason than to get their kicks through random vandalism. Whatever the source of the noise may be, it's no fun to be on the receiving end of such an unpleasant jolt. 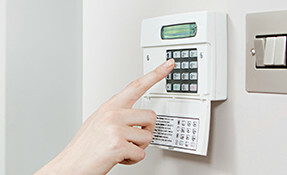 Millions of dollars are spent on securing homes all across the nation, each and every year. As crime statistics grow worse, security is increasingly becoming a matter for each individual home owner to secure as best they can. Even in an area where the average response time of law enforcement authorities is reasonably swift, it is still an excellent idea to equip your home with a fully modern security system. However, even the world's most advanced alarm system can only do so much without the assistance of a monitoring service that can immediately notify the authorities during the event of a home invasion or other emergency. 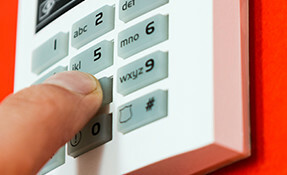 When an emergency occurs, such as a break in or burglary, you will want to not only rely on your home alarm system, but also your alarm monitoring service, for help in your time of greatest need. A full home monitoring service will respond to your alarm 24 hours a day, 7 days a week, no matter the time of day. There is a precious sensation of safety and security that arises from knowing that your home and family are fully protected against criminals and other dangers, such as natural disasters. No matter what the cause may be, if your alarm goes off, a fully professional monitoring service will immediately check in to make sure you're safe and well. When it comes to your home security system monitoring needs, there is one company that you can trust in your hour of greatest need. Alarm Relay has been in the business long enough to build a reputation for world class quality and expert customer service. Please feel free to contact Alarm Relay today to learn more. I have a house alarm and I wouldn't feel safe without it. I am super paranoid when it comes to protecting my kids. We have a wonderful security system and it's on whenever we leave the house. Even if we're only going to be gone for a few minutes. I live in California. You'd better have an alarm. I've never had a home security system, but it does make you feel a lot more safe! Gosh it's crazy that people used to leave their doors unlocked all the time. I used to have one of those but it drove me nuts. Beep beeep beeeep. If I had a house I'd have one. Apt has lots of locks and cameras in the building, so good here. You're right this is an important issue to take into account. Thanks for sharing these tips. I believe that home security is important. I am a single mom so I definitely have to have something to feel safe at home. Home security is a huge issue, I agree. We need to upgrade ours! I wouldn't feel safe without an alarm. I check every night to make sure it's on. I am the type to get nervous over every little noise I hear. When I lived in an apartment I didn't have an alarm and I wasn't really worried about it. But in a house, it's so different to me. I refuse to not have a home security system in my home now. It is a serious business. We have it at home and it's always on whenever we are out. Alarms are great.. especially for older people. I don't have one but I believe it's important.. This is serious business. Recently we heard about breakins going on near our home so we have been looking around for a good system. I couldn't agree with you more. We used to have one from our previous house. Good thing we live in a secured neighborhood, but we still might consider in getting one soon. I've never heard of this company. I know having a security system also lowers homeowners insurance, so I really should look into it. I've just lately been wondering if we need one of these. Seems all or most homes have this sort of protection now. We have a security system and cameras around our house. Sadly, it's because there are a few in my family that I just don't trust, especially if they catch wind that we are going on vacation. I've even caught some of the neighbor kids stealing holiday decor out of our yards. They were pretty embarrassed when I showed them the footage. Thankfully, they didn't try it again once they realized they were being monitored. My single friend has a security system at her home. I would too if I was alone - just for that added reassurance that help would soon be on the way. An alarm system is on my must have for a new house. I feel like we need one with the kids. We have an alarm system. I love that it's can be controlled from our phone and with one button emergency vehicles are alerted and on their way. Yes I agree this is a huge issue now, we have a security in our house because that is very important to keep yoyr home safe. Home security has always been a huge deal to me. I have taken the needed steps to make sure I can keep my family safe.